Clothes moths are well-known fabric pests in the home. Carpet beetles are just as destructive and are more abundant than clothes moths in many areas. Carpet beetle larvae do not spin webs and have a tuft of long brown hair at the end of the body. Clothing moth larvae leave behind a silken web as they feed. When the moth is in its whitish worm-like larva stage, it eats wool and furs and does its damage. The moth also likes dimly lit areas so much damage can be done before it is even seen. Practicing good housekeeping habits is an important step to protect your clothing against fabric insect damage. Use the vacuum cleaner for most of this cleaning. 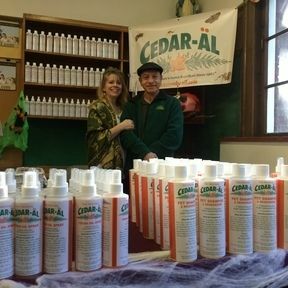 Spray the vacuum bag with CEDAR-AL cedar spray prior to vacuuming and dispose of the bag contents promptly; it may include eggs, larvae, or adult insects. Purchase woolens or woolen synthetic blends that have already been treated by the manufacturer with a moth-resistant compound. Brush woolen clothing often to remove insects and their eggs. 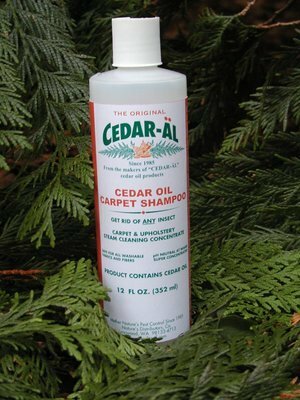 Although we recommend spraying it on an inconspicuous area prior to treating the entire carpet, you can spray your carpeting safely with the CEDAR-AL cedar spray as it is color safe for most fabrics. For temporary storage, protect woolen articles by placing dryer sheets sprayed heavily with the CEDAR-AL cedar spray or pieces of cloth in the container or closet in which the articles are stored. To hold the vapors, the container (garment bag, chest, box or trunk) must be airtight. If storing woolens in a closet without placing them into containers see that the closet is tightly sealed. When you spray, avoid breathing the spray and wash your hands afterward. Dry items thoroughly before packing. 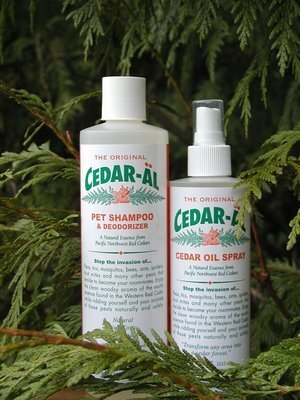 The CEDAR-AL cedar spray soaked dryer sheets or pieces of cloth should be placed in a shallow container on a shelf, or suspended from a clothes rod or hook in a thin cloth bag or perforated container. Heavy and tightly constructed cedar closets and chests can be the ultimate luxury in storage. If they are thin and loosely constructed, they can smell good and still be worth no more than cardboard boxes. 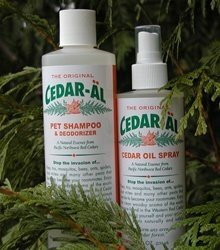 The concentration of volatile oil in the heartwood of cedar kills moth larvae, but the smell does not repel them as the cedar spray does. A cedar chest or closet must have at least 3/4-inch thickness of heartwood and must close tightly to keep the oil from evaporating to be effective against moths. The value of a cedar chest lies in the fact that it will kill newly hatched or young worms. 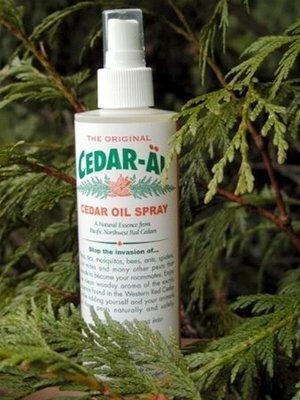 It will not kill eggs, worms after they are half grown, as the cedar spray does or deter the adult moth as the cedar spray does. 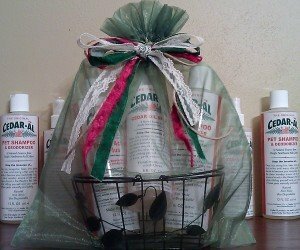 To be effective, the cedar chest must be kept tightly closed and the garments stored must be clean and free of moths. Although they may smell good, herbal potpourris are not an alternative to deter moths. The United States Department of Agriculture has proved that many herbs are ineffective including allspice, baking soda, camphor, cayenne pepper, eucalyptus leaves, and lavender flowers. The herbal potpourris do have pleasant fragrances and can be useful in reducing mothball odor. Suspend them in small cloth bags in the storage containers. The scent does wear off, but can be preserved if you add some orris root or calamus powder as a fixative. Dry cleaning is also an effective way to kill moth life.